Being watched while in public is not an unfamiliar feeling. Cameras follow our every move on public streets, particularly in UK cities and towns. Product designer Lee Murray created The Observer to give everyday people the chance to observe the world in the same way that government agencies do. 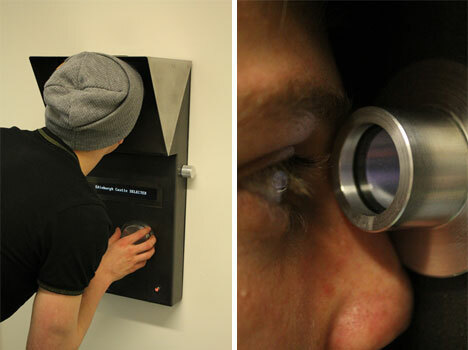 The pay-per-look viewer consists of a small, peephole-like window for the user to look into. 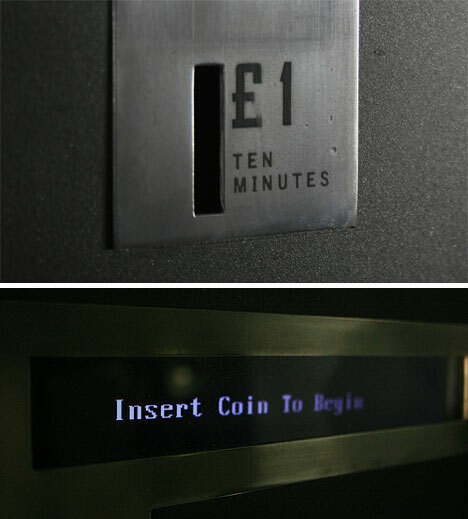 After feeding a coin into the slot and selecting a location to view, the user can see everything that the CCTV camera at that location is capturing. The project is a conceptual exploration of how the everyday citizen would act if they were given the power of unlimited observation. Murray created The Observer out of curiosity: would ordinary people turn into vigilantes if they saw crimes being committed? What if the police offered compensation to those reporting crimes? 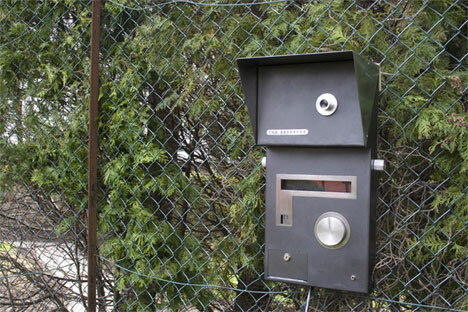 Murray’s vision is to eventually connect The Observer to the national network of CCTV cameras over an internet connection. Because the user has control over which camera’s view to watch at any time, it turns the CCTV dynamic backwards temporarily. But the element of voyeurism can’t be ignored, as giving everyone the opportunity to watch what people in other cities are doing on public streets will no doubt appeal to some people for less-than-honorable reasons. Still, the aluminum and steel contraption may help those who are constantly watched feel a tiny bit more in control of their own lives. See more in Camera & Video or under Gadgets. June, 2010.